There is a certain primal thrill to seeing the bad guys get their comeuppances. Movies have always given audiences a chance to live out those feelings without actually acting on them, getting the satisfaction of seeing the villains go down at the hands of the hero. Revenge thrillers take that feeling and capitalize on it, building entire narratives around the innate human need to see justice played out on a grand scale. You can read it as a right-wing fantasy or an endorsement of vigilantism, but that often seems like an oversimplification. The fact is, these films tap into a deep seeded human desire that is beyond politics. Is it right to exploit that as entertainment? Or do films like this act as a outlet for those emotions, letting people live out those fantasies in a darkened theater so as not to act on them in real life? There is a legitimate debate to be had on that subject, but that's not what this is about. 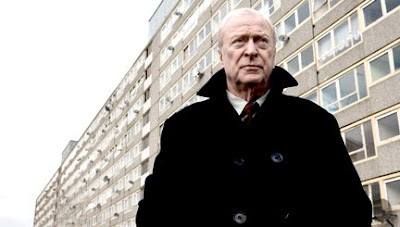 The question at hand is whether or not Daniel Barber's new vigilante drama, Harry Brown, is a good film. The answer is - not quite. It gets points for presenting a fresh new twist on the genre. 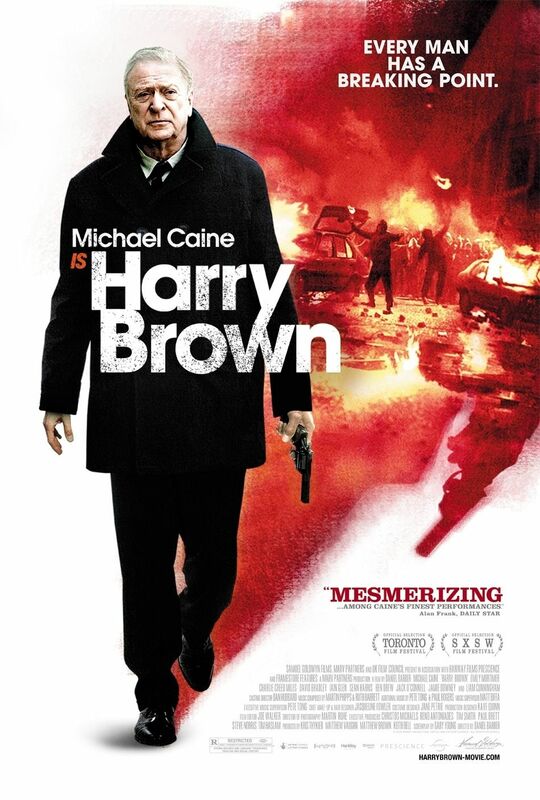 Harry Brown (Michael Caine) is an elderly ex-Marine who is mourning the death of his beloved wife. It's the beginning of a lonely existence, filled with the dreary routines of waking up alone every day, and visiting the corner pub to play chess with his best friend, Leonard (David Bradley). But things are changing in Harry's world, and not just because his wife of many years has just passed away. His neighborhood is becoming a hotbed of gang activity and drug related violence, and Leonard is afraid for his life after becoming a target of ridicule and threatening pranks by local hoodlums. But when Leonard can't take it anymore and confronts his tormentors, he ends up as another sad statistic on an ever growing list of causalities. Now not only has Harry lost his wife, he has lost his best friend as well. Alone in the world with nothing to lose, and faced with an increasingly ineffectual justice system, Harry decides to take matters into his own hands, calling upon his old military training to take on the gangs single handedly and clean up the streets to avenge his fallen friend. Credit must be given to Harry Brown for not turning Harry into some kind of unstoppable force. While he may be a former Marine, he is still old, and hasn't been active in that way in many many years. Unlike, say, Liam Neeson in Taken, who is still very much able to draw upon all of his training. 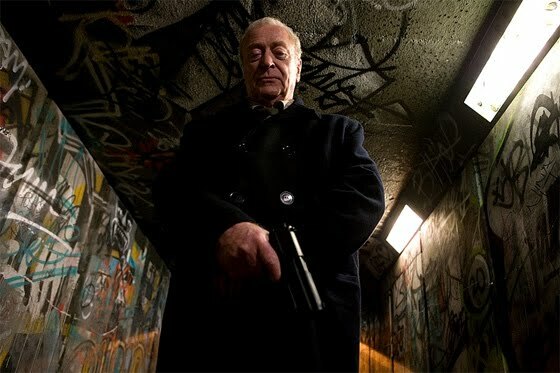 Basically, Harry Brown is just an ordinary guy who has is mad as hell and isn't going to take it anymore, and he has just enough know-how to give him an edge over these young punks. The problem is that beyond that, the film doesn't really bring much new to the table. It has a lurid, ripped from the British tabloids plot that seems over the top in its depictions of the seedy underworld Harry must descend into in order to find Leonard's murderer. There is an undeniable pleasure in watching Michael Caine teach these damn kids a lesson, but by the time the police are called in to clean up the mess, the films takes on an unnervingly fascist tone that makes one wonder just what the filmmakers had in mind. The build up is the film's strongest aspect, but by the time we reach Harry's revenge, it becomes a film nearly indistinguishable from others of its ilk. Caine is excellent as always, while Emily Mortimer seems stuck in a thankless and underwritten role of a detective trying to solve Leonard's murder and ends up on Harry's trail instead. It is a film that is not without its own unique pleasures, but there's also something tired and strangely unfocused about it, as if its in the throes of a political identity crisis, stuck between trying to make a statement on current events in Britain and trying to be a straight entertainment. Ultimately, it never really succeeds at either one. HARRY BROWN; Directed by Daniel Barber; Stars Michael Caine, Emily Mortimer, Charlie Creed-Miles, David Bradley, Iain Glenn; Rated R for strong violence and language throughout, drug use and sexual content. Now playing in select theaters.